Reduce or Eliminate PMI = Lower Monthly Payment. Conventional loans are the most basic type of mortgage loan. Unlike other types of mortgages, such as USDA, FHA, and VA, conventional loans are not guaranteed by a third party entity. Therefore, the loan has more stringent eligibility requirements. However, if you meet those eligibility guidelines, you can benefit from the advantages of potentially eliminating your private mortgage insurance payment, which lowers your monthly payment and saves you thousands over the life of your loan. Whether you are trying to break into the housing market by purchasing your first home, or if you’re looking to refinance, now that the economy has turned more favorable for borrowers, a conventional mortgage might be just what you’re looking for. A conventional mortgage is a loan that is not guaranteed or backed by a government body or agency such as the Federal Housing Administration, the Farmer’s Home Association, or the Department of Veteran Affairs. While government-backed loans usually have fixed fees, rates, and terms, conventional loans allow borrowers greater flexibility, which is highly beneficial and offerings huge cost savings to a large number of people. These loans can fall into two categories, conforming and non-conforming. A conforming mortgage, which applies to about half of conventional mortgages, follow the guidelines established by Fannie Mae and Freddie Mac. These government-sponsored enterprises absorb, or buy the mortgages, from lenders and then sell them to investors. This makes them more available. Non-conforming loans, do not have to follow the same guidelines and lenders are able to set their own specifications. Since lenders can set the guidelines for conventional mortgages, borrowers can put down a lower down payment, as low as 3% income cases, as well as choose their rate plan and length of term. This means getting you into a house quicker than you would have thought possible! When you’re looking for a loan, the ideal situation is to be able to get the amount of money you need, as quickly as possible, while paying lowest amount of fees and interest rates. Conventional loans don’t disappoint with their numerous benefits detailed below. Great interest rates Depending on credit score. Faster loan processing time No waiting to be approved by the government. You deal directly with the mortgage lenders. Down payment as low as 3% You can borrow up to 97% of a home’s value, making home ownership a more attainable reality for many people. Lower mortgage insurance premiums Able to get better rates on PMIs than with many governments insured loans. Ability to cancel PMI Once home equity reaches 20%. Lower fees Since fees are not set by the government, they can vary widely between lenders. Not restricted to primary residence use This means you can use the loan for a primary, secondary, or rental property. Fixed or adjustable rates Find an option that works best for you. Varying lengths of time Mortgages can be issued for a variety of lengths, from 10-30 years. Gone are the times where a homebuyer had to put down 20% or more in order to secure their dream home. With a conventional mortgage, you can borrow up to 97% of the home’s value, meaning that it is possible to only put a 3% down payment. When calculating what amount a mortgage lender will give out, they will take a look at factors like credit score, past history, and other factors. So while it is possible to put only 3% down, this is not the case for everyone. There are also perks for those borrowers who are able and willing to put down larger down payments. Since this loan is not backed by the government, a borrower will have to get an additional private mortgage insurance for a down payment of anything less than 20%. This insurance covers the lenders in case the borrower defaults, or is unable to pay the mortgage. Good news for borrowers in which a PMI was necessary when your equity reaches 20%, you can cancel your private mortgage insurance. This is one of the advantages of a conventional loan compared to a FHA mortgage, where you are not able to do so. This translates into huge savings. With conventional mortgages, you can pick the solution that is right for you. Every borrower is different and should be able to personalize their options. The flexibility of a conventional loan is one of the reasons why it is the top choice for loans applications, numbering up to 60% of all home mortgages. Borrowers have the option to choose between a fixed rate or an adjustable rate for their loan. A fixed rate loan is one where the interest rate is set at the beginning of the loan for the entire length; it doesn’t change until the loan is completely repaid. On the other hand, an adjustable rate mortgage commonly has a low introductory rate, for a fixed period, and then is adjusted periodically according to LIBOR or T-BILL indexes. With an adjustable mortgage, the interest rates should follow the general inflation or deflation of the housing market. In 2016 the conventional loan limit was set at $417,000. This limit, however, does not apply to high-cost living areas, where it is possible to get a loan for a greater amount. Also, loans for homes with multiples units, for example, 2 or 4 unit homes will also be considered for higher than standard limit amounts. Unlike the VA home loan, borrowers do not need to be a member of any particular group or association to apply. The biggest determining factors for loan eligibility are credit score and debt to income ratio. While conventional loans generally have more favorable rates for borrowers with good credit scores, it is accommodating for people with less than perfect credit. Different lenders will have different cutoff marks, but borrowers should ideally have a minimum credit score of 620. As a VA owned and operated company, HomeRate Mortgage has no credit score minimum and is able to work with any credit score if looking for a loan in Virginia. It is even possible to be approved for a home loan if you have a history of bankruptcy on record. Borrowers with higher credit scores and less income to debit ratio will be able to get lower fees, and larger amounts for lower interest rates when compared to applicants who are considered higher risk. This is one of the other major determining factors in applying for a conventional loan. Debt to income ratio compares what percentage of your gross income is automatically used for reoccurring monthly debt. For example, debt could include student loans, mortgage, car loans, credit card bills and so on. Most lenders will want to see that your expenses are not greater than 35% of your monthly income. However, depending on the lender, and your credit score, you can still be considered for a conventional mortgage with up to a 50% DTI ratio. Is a conventional loan right for you? Like its name, conventional mortgages are one of the most popular loans applied for when looking to purchase a new home or refinance existing properties. You will find its perks the most beneficial if you have good credit and money available for a large down payment. For those in less than perfect financial standing, these loans are still a good option because of their ease of approval and the more flexible requirements dictated by individual lenders, not the government. 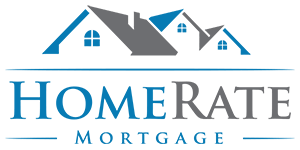 HomeRate will work with you and your situation to get you the best deal out there because you shouldn’t have to pay to get a mortgage! Qualify for a Conventional Loan? Apply Now! If you would like to know the rate for which you qualify, Apply Online, and we will give you an accurate assessment of what you qualify for. If you have any questions, just click Contact Us or call us at (615) 325-8200.